Kevin McAuley, has 37 years of experience in the dental field as a Dental Technologist, Product Specialist and Trainer. 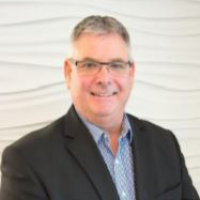 Focused on many practical cases as a Dental Technologist, Kevin gained experience in numerous dental implants systems and created thousands of prostheses for all indications. The last eighteen years have been focused on product development, Product launches and training of numerous clinical and technical solutions for patients. He has lectured and given practical presentations relating to various implant systems and supporting technologies. He is currently Market Development Manager, Digital Solutions for Nobel Biocare Canada Inc..